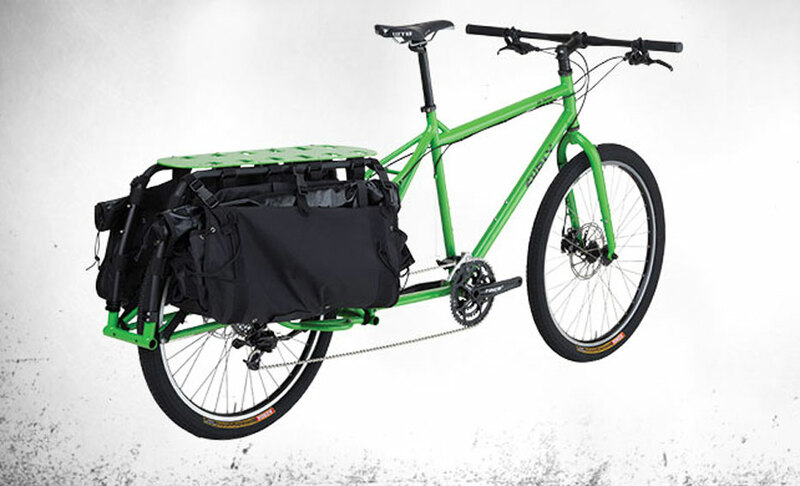 Big Dummy is a long-tail cargo bike, which means that not only can you haul a serious amount of cargo, different accessories can be added to your Big Dummy frame and deck depending on what you want to carry. 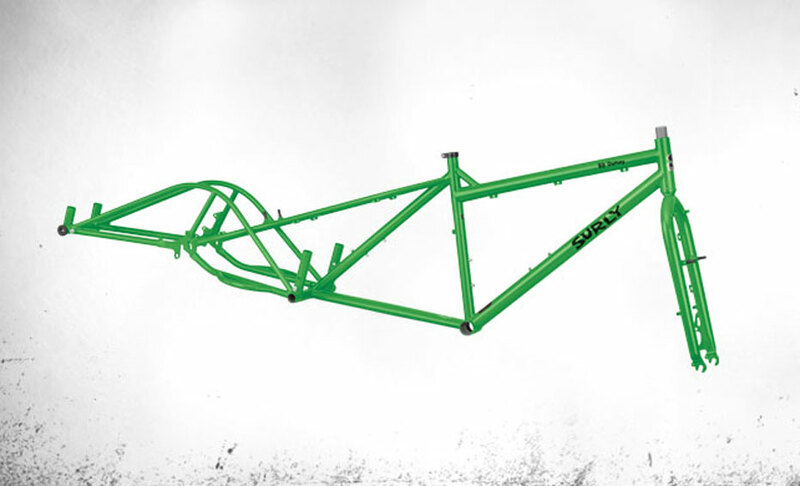 Being a dedicated single-piece frame, instead of an add-on to an existing bike, it’s stiffer and resistant to torsional flex, which provides a better ride and longer lasting frame than long-tail add-ons. Like all our frames, it’s made of our size specific, 4130 CroMoly steel – a tube set engineered for cargo that sports lots of little touches that you’ve come to love in a Surly like clearance for big tires and the use of common component sizes. Figure on being able to carry about 200 pounds (90kg) of cargo. The load weight, and how it’s loaded, will affect the handling somewhat. Also, plan on using gears, especially as cargo weight increases. This may seem obvious, but as you get comfy with it, you will use your full range of gears as never before. The parts kit is good quality, and suitable to loaded as well as unloaded riding. 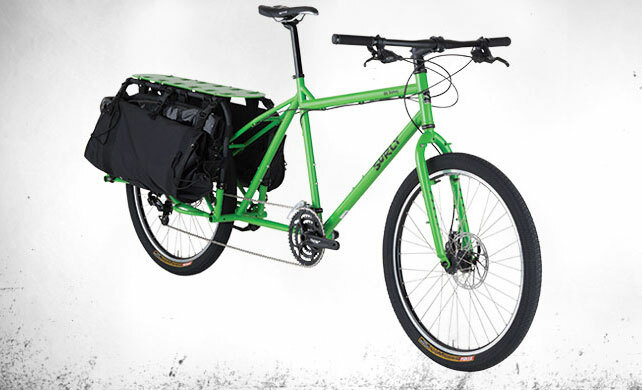 It’s got a 3x10 drivetrain, Avid BB7 disc brakes, quality Shimano Deore hubs, and 26x2.3" Kenda Kiniption tires. 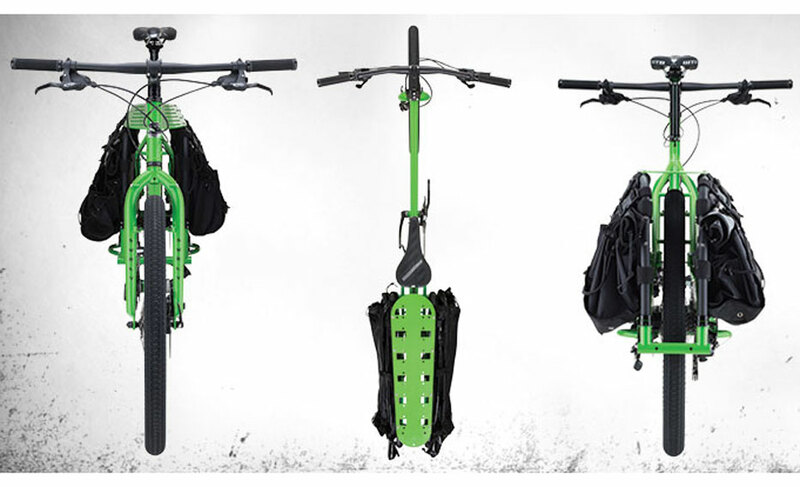 We’ve outfitted it with our Surly-designed bags, deck, rails and Dummy Rail Collars; everything you need for the majority of stuff you might carry, like groceries, shovels, bags of charcoal or mulch, guitars, lamps, mannequins, whatever. Bags, deck, rails, and rail collars are all designed to improve on previous offerings and work together to make sure your stuff is transported with safety and stability. It’s an unbending interface, which when you’re carrying lots of cargo, is a good thing to have. Get creative, and get hauling. 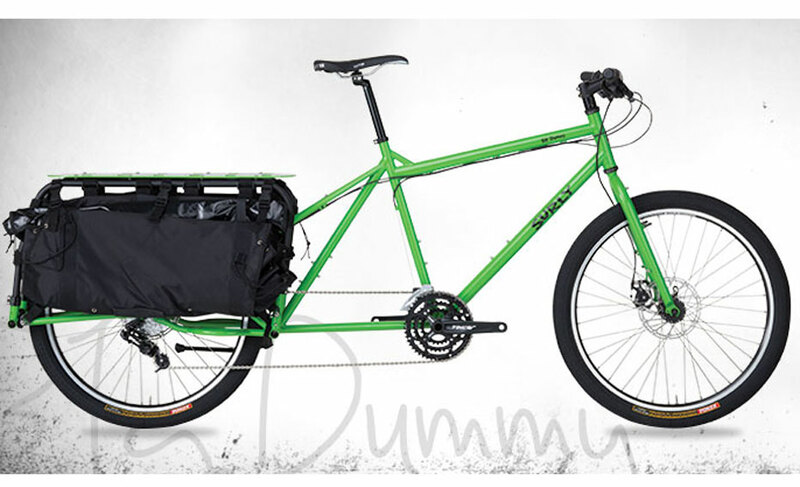 If you intend to carry a passenger on your Big Dummy, Surly requires use of our Dummy Rail Collars. These provide a secondary retention system for the rack, as well as stiffen the rack system. These are included with MY17 Big Dummy bikes and frames, as well as available AM for older Big Dummy bikes and frames [compatible with all generations of Big Dummy bikes/frames]. In addition, a stoker handlebar set up, found on tandem bicycles, is recommended as well. Make sure to check with seat post manufacturer for stoker handlebar compatibility.